July 13, 2017, Occupied Palestine — More than 200 Latin American organizations, coalitions, social movements and personalities published a July 9th letter addressed to the Board of Directors of the Mexican multinational company Cemex, calling on its members to end the company’s complicity in Israel’s human rights violations in the Occupied Palestinian Territory. Cemex is the second largest building materials company in the world and is deeply involved in Israeli policies that contravene international law. The company has already been denounced for its illegal actions in a UN report on human rights in the Occupied Palestinian Territory in 2012. Through its Israeli subsidiary Ready-Mix, Cemex has factories in illegal Israeli settlements built on stolen Palestinian land. It also supplies Israel with cement and concrete for the construction of its wall, military checkpoints and illegal settlements in the Occupied Palestinian Territory. Cemex is directly enabling and profiting from illegal and inhumane Israeli policies, building a future further away from justice, equality and freedom. The complicity of companies like Cemex has allowed Israeli policies of occupation, racial segregation and colonization to continue for almost 70 years. The letter to Cemex was signed by large social movements from 12 Latin American countries and other parts of the world, including the Brazilian Landless Workers Movement (MST) and the international World March of Women. It was also signed by political parties, including Mexico’s third largest party, the social democratic PRD. Signatories also included some of the largest trade unions in Latin America, such as the CTA de los Trabajadores from Argentina, the Bolivian Union of Peasants and Colombia's Unitary Union of Workers. They also included important human rights coalitions like Peru’s National Coordination on Human Rights and Mexico’s League for the Defense of Human Rights. Nobel Peace Prize winner Adolfo Pérez Esquivel and several prominent Mexican artists and academics have also joined the appeal. The ICJ declared, on July 9, 2004, that the Israeli wall and any type of support for Israel’s violations of international law are illegal. Due to this, 13 years later, and heeding the call from Palestinian civil society for effective international solidarity through BDS, we call on Cemex to break its ties of complicity in illegal Israeli policies against the Palestinian people. The organizers of the campaign have called on progressive international organizations and movements to endorse the letter by filling in this form. Palestinians and Latin Americans share many experiences of oppression, but we also share experiences of popular resistance. 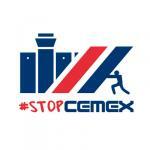 It's inspiring to see Latin American movements and organizations pressure the huge Mexican building materials company Cemex to end its involvement in Israel’s violations of Palestinian human rights. At the same time, we support their struggles against injustice and walls affecting their own region. Our struggles unite. By having factories in illegal Israeli settlements built on stolen Palestinian land, and by providing materials for the construction of Israel's illegal apartheid wall, checkpoints and settlements, Cemex is profiting from and enabling Israel’s regime of occupation, land theft and apartheid. As a result, Cemex will face a worldwide BDS campaign that will not only expose its complicity in serious violations of international law but will also affect its contracts. Companies like Veolia, CRH, Orange and G4S were impacted by successful global BDS campaigns, and Cemex will face the same unless it ends its complicity in violations of Palestinian human rights. PLO on Dutch company Vitens ending ties with Mekorot: "necessary and moral"